The Gonski review panel proposes a set of reforms to improve school performance and individual student achievement. A core focus is to maximise each student’s learning growth rather than ensure minimum proficiency at each year level. ‘An emphasis on the goal of student growth ensures that all students reach their full learning potential, regardless of the starting point and pace of learning compared to others,’ the report says. Recommendation 1: Embed a focus on individual student achievement through continuous learning progress in the policies and practices of all schools and systems, with the expectation that each student should achieve at least one year’s growth throughout each year of schooling. The report raises the issue of ‘cruising’ schools – those achieving student learning outcomes above minimum standards, but delivering lower rates of learning growth. During the review process, the panel held targeted consultations with education bodies and experts, and invited submissions from stakeholders, including teachers, school leaders, students, parents and community members. It says these discussions highlighted ‘common fundamentals’ needed to support all students. The panel says a focus on maximising student learning growth will not only extend high performers, but also ensure ‘the potential of initially less advanced students is revealed and built upon’ so that they too continue to progress in their learning. We know that effective school leadership teams have an expectation that every student will continue to make good progress in their learning. 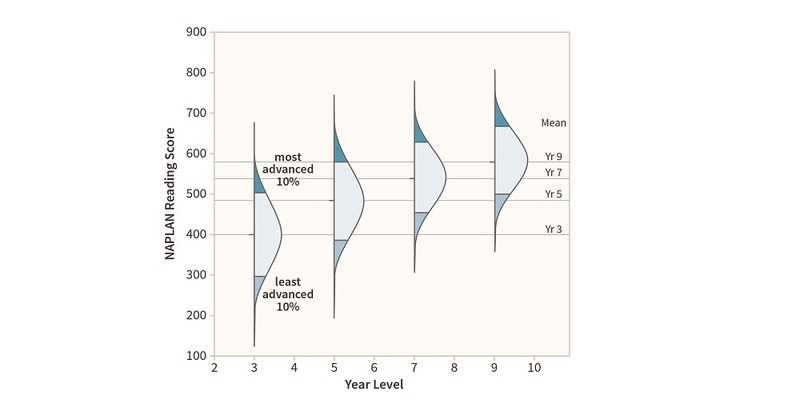 We also know that students start and end each school year at widely varying levels of attainment – the most advanced 10 per cent are about five to six years ahead of the least advanced 10 per cent. A focus on stretching and extending every student means ‘success’ – for those who start at the back of the pack, middle, or at the front – would relate to the individual progress of that student. The Gonski review panel’s findings and recommendations on individual student achievement, and references to supporting research, can be found in the Introduction of the report. A copy of the full report is available to download by clicking on the link.